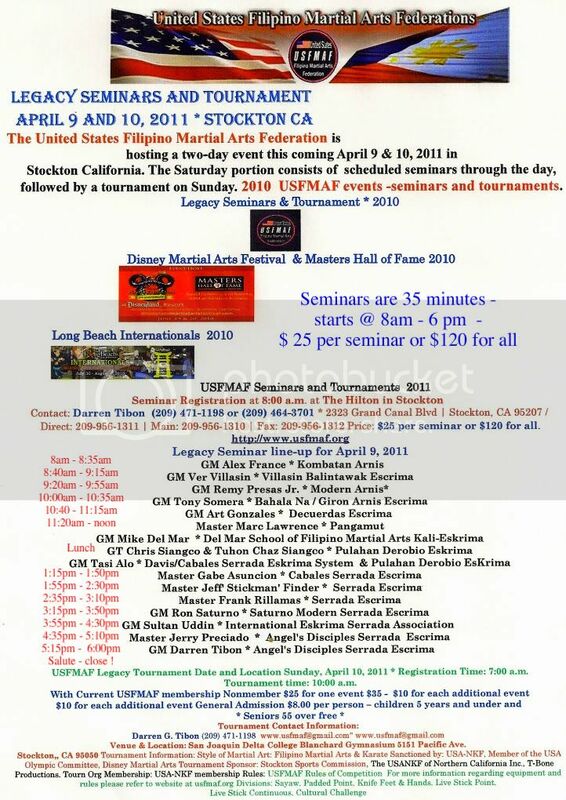 Dedicated to the art of Serrada Escrima made famous by the late great GM Angel Cabales, the first to open a Filipino Martial Arts (Escrima) School in Stockton,CA. in the 60's. I teach primarily the old fashion Serrada Escrima and teach all of the basics thru lock and block, sparring, picking, etc., but do not start the weapons for at least a couple of years. My training methods now encompass healing, locking, throwing, punching, etc. via drills. I think I am sufficiently different to warrant the term...modern. There is nothig wrong with the classical Serrada approach of training. I just get bored now and will at times start students on new paths to better themselves and keep it interesting.Contact me at 209 662 1921. GM Ron Saturno / Saturno Modern Serrada. What makes up Modern Saturno Serrada? What are the differences between traditional Serrada Eskrima and Modern Saturno Serrada? You need to be a member of Saturno Modern Serrada to add comments! Merry Christmas, Happy Hanukkah, Happy Kwanzaa, Maligayang Pasko to all! When would a reasonable, moral, rational person be willing to die for a lie? If you examine the current state of the world and the quality of people’s lives, I think you’ll see that a lot of the trouble comes from people basing their actions on truths that bear little relationship to what actually is. "To become a warrior, one must abide by the laws of honor, integrity, honesty, and respect, no matter how painful, your life maybe,... while on earth." Congratulations My Brother on your recent promotion! Congratulations to GM Ron Saturno, Aloha braddah!